Temporary Resident Permit (TRP) Help? Canada immigration lawyer focused on helping Americans apply for a Temporary Resident Permit so they can travel to Canada with a criminal record. We offer free comprehensive consultations (unlike many businesses who demand a retainer before assessing your options). In 2014, the Government of Canada eliminated the country's "tour tax" which required international musicians to obtain a work permit in order to perform in Canada. Previously, American musicians and performers traveling to Canada needed to pay $150 for a temporary working visa along with a $275 Government processing fee. This meant that an American band interested in playing at a few pubs, bars, restaurants or other small venues in Canada could spend thousands of dollars obtaining the necessary immigration paperwork. Now that American musicians do not require work permits to enter Canada temporarily touring in Canada is much more affordable for international bands. Even without stressing about work permits, however, there are still a number of things that need to be taken care of to ensure a successful border crossing. In order to travel to Canada, every member of an international band will need to have a valid passport. If you are a citizen of a country that does not have visa-free access to Canada, you will also require a visitor visa to enter the country. If your passport is expired, you may be denied entry at the border. In lieu of a passport, American citizens can also cross the Canadian border by land with an Enhanced Drivers License (EDL) from Minnesota, Michigan, Washington State, New York, Vermont or South Dakota. US bands and performers do not require a Labor Market Impact Assessment (LMIA) or temporary work permit in order to play music in Canada. Border officials will want to see the band's performance contract from each venue or festival, however, or an invite from a promoter that clearly states the exact shows and festivals that will be played. Band members should also know the address and contact information for their accommodations while in Canada. Bands that will be traveling to Canada should thoroughly itemize and document, with serial numbers, all the musical instruments and gear they will be bringing across the border. This is important to Canada Border Services Agency (CBSA) officials as it helps them ensure you are not buying or selling any items without paying the relevant tax and duty. Foreign nationals who have ever been arrested or convicted or a crime may be criminally inadmissible to Canada and refused entry at the border. Even a single misdemeanor driving under the influence of alcohol (DUI) conviction can render an American inadmissible to Canada due to criminality. Criminal inadmissibility can be overcome with a Temporary Resident Permit or Canadian Criminal Rehabilitation and should be sorted out well in advance of expected travel when possible. If the crime happened a long time ago and it was not a felony, the band member may be eligible for deemed rehabilitation and permitted entrance into the country provided his or her entire sentence, including probation and payment of all court-ordered fines, was completed more than ten years ago. Want to tour Canada but have a criminal record? Call us today for a free consultation. If you wish to sell merchandise such as t-shirts at your Canadians shows, you must declare the goods at the Canadian border. A complete inventory list of all merchandise being imported into Canada must be provided, along with the wholesale price of each product, retail price they will be sold for, and country of origin. You will need to pay a sales tax of 5% to Canadian customs in order to bring the merchandise across the border. If you lie to Canadian border guards and pretend you are not bringing anything to sell, you risk having the undeclared merchandise seized at the border. Authorities at the Canadian border are very likely to ask if you are transporting any goods that will be for sale while touring in Canada, and you should always be honest with them. If you are entering Canada with merchandise that is valued at more than $2500, you may require a Canada Customs Invoice (form CI1) and a NAFTA Certificate of Origin (form B232). If you have any arrests or convictions on your record and need to visit Canada, call us today or fill out this form! 24 Hour Response Time! 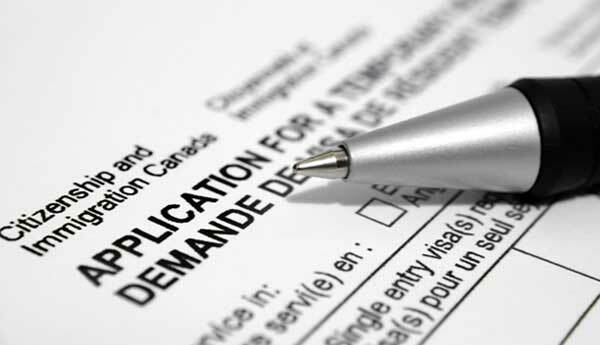 © 2019 Canada Temporary Resident Permit Application Service. All rights reserved. Disclaimer: All information contained on this website is intended to be general in nature and is not legal advice!